If you think the economy is not recovering very quickly, it seems no one told that to the people who buy Lamborghinis, Bentleys and Rolls-Royces. Sales of those cars are soaring. Lamborghini, for instance, reported sales of 2,121 cars worldwide last year, the brand's third consecutive year with a sales increase. You can be forgiven for thinking that doesn't sound so great. Lamborghini's parent company, Volkswagen Group, sells more Beetles in one month in the United States alone. 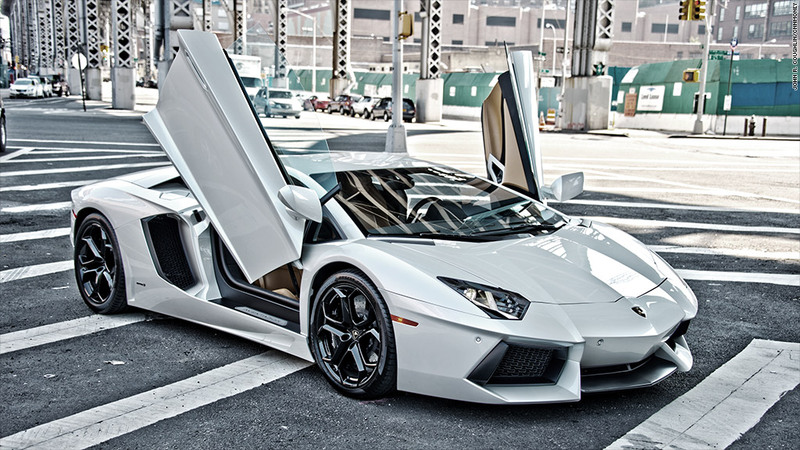 But this is Lamborghini. This company only makes two model lines, one of which starts at just under $200,000 and the other, the Aventador, at just under $400,000. Driving those sales are big increases in the United States, which remains Lamborghini's biggest market. That's not likely to change anytime soon, said Lamborghini CEO Stephan Winkelmann. "The Chinese super sports car market is on a slower growth path than before," he said. Lamborghini is predicting bigger sales to come. It is replacing its most popular model ever, the Gallardo, with a new and improved car, the Hurucán. In anticipation of stepped-up demand, Lamborghini has hired 100 new workers in Italy, roughly half of them for the production line. Most of the rest are in research and development working on future Lamborghini products, which may well include a crossover SUV.